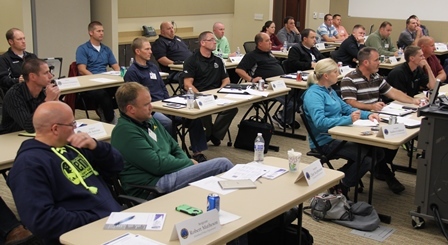 We're glad you've chosen to attend the Minnesota Chiefs of Police Association’s Leadership Academy, which offers a deep curriculum in the areas of administrative and tactical leadership, presented by experienced instructors. We also hope this experience is enjoyable and educational and allows you the opportunity to network with peers throughout the state. *Please note business casual attire is required: dress pants, khakis or solid color tactical pants, and collared shirts. Please feel free to contact your instructors or the staff of the Minnesota Chiefs of Police Association should you have questions or need assistance in law enforcement matters.